There is so much to see and do when you visit Malaysia. 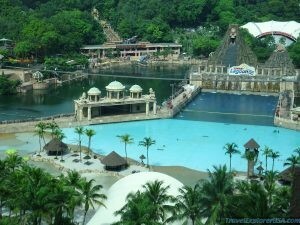 After all, Malaysia is a popular travel destination because it is a microcosm of all of Asia. Whether you want to explore the culture, food, and people of China, India, or the Malay and Indonesian people, you can find it all in Malaysia. 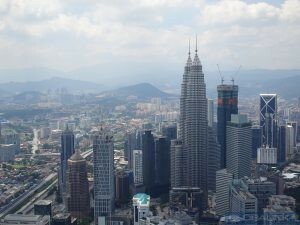 The West coast of Malaysia is the most densely-populated area in Malaysia, so we will focus our list today on that area. 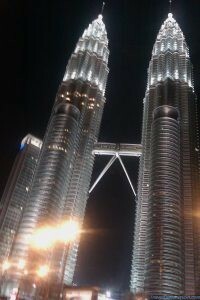 It goes without saying that you should really visit the capital city of Malaysia, Kuala Lumpur, also known as KL. 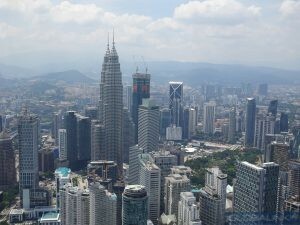 There area lot of great sites to see in the city, including the twin Petronas Towers which were at one time the tallest building in the world. 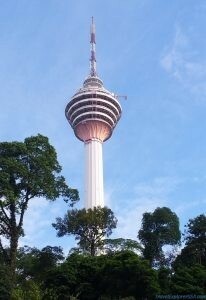 However, if you want to be at the high point that you can easily visit for a great view of the city, your best bet is actually the KL Tower. You have the option to go all the way to the top and enjoy an open-air view of the city, including a couple of places with a see-through floor, where you can stand above the city and look down, if you are brave enough! It’s a great place for souvenier photos. – The locals have signs with that map of Melaka, reading “Don’t Mess with Melaka”, much like the USA’s “Don’t mess with Texas” saying. They are known for being independent thinkers. The city of Melaka is a wonderful place to visit for historical cultural information. 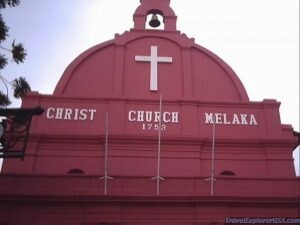 The city square features Christ Church Melaka, established by the Dutch in the 1300’s, and a short walk takes you to the Formosa, a part of an old Portuguese fort. 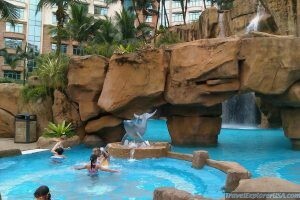 There is also a beach area with some nice hotels where you can enjoy the beach, and some water park resorts as well. There are plenty of possibilities for a nice family vacation, not to mention a variety of great eating places. 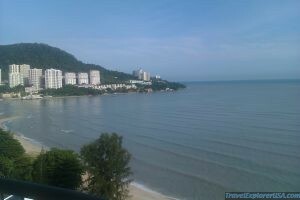 It is no wonder why Penang is sometimes referred to as the Jewel of Malaysia. It has all the makings of a great vacation – nice beaches, great food, interesting historical sites to visit, a butterfly park, great shopping, Penang hill, and more. There is no shortage of great things to see and do. 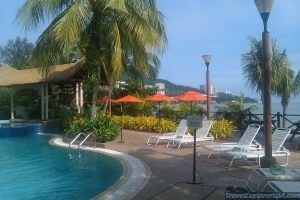 You can stay either in the city of Georgetown on the coast, or venture across to the Island of Penang by either one of the world’s longest bridges or a short ferry ride. In fact, the newer second bridge is the longest in Southeast Asia. 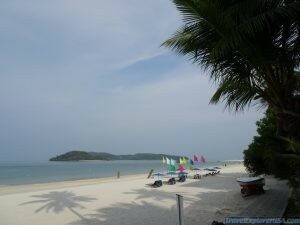 We have preferred to stay on the beaches on the Island of Penang. 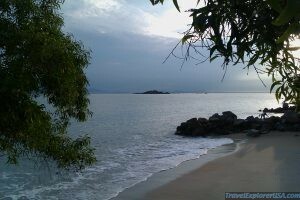 The more popular western tourist beach is Batu Ferringhi, which has a lot of touristy things to offer. We actually got a better deal at the more local-oriented Tanjung Bungah, where we found the beaches to be less crowded. Check out the Flamingo Hotel and its wonderful breakfast buffet – we highly recommend it. 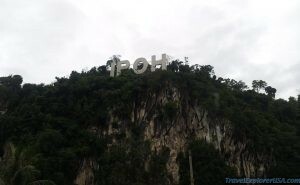 Okay, so the locals don’t necessarily consider Ipoh as a resort kind of place, but there is actually a lot worth visiting there and we highly recommend it. Especially if you love Chinese food, because Ipoh is a mecca of great Chinese specialty dishes. And it is near the source of the white coffee that is popular in the region – you really should try it! It’s an easy train ride from KL, not quite the half way point if you are headed towards Penang. Just be sure to book ahead for train tickets, as many travel back and forth on the weekends if they work in KL. Be sure to look around the historical train station when you arrive in Ipoh – the architecture is both beautiful and historical. Enjoy the closer proximity to mountains with slightly cooler weather. And experience something closer to a small-town feel than you normally find in west Malaysia, while still enjoying the conveniences of the city. Again, it’s worth the short trip from KL for the Chinese food and white coffee alone. If you’re looking for the ultimate island get-away with pristine beaches, Langkawi is the place for you. As a popular tourist destination for not only locals but also Westerners, Langkawi offers a great variety of accommodations and dining options. You can also find a lot of extra tourist activities, such as boat rides, museums, etc. 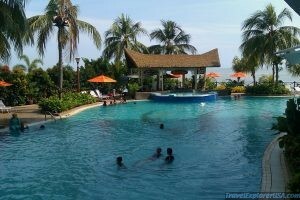 Of course, we think of Langkawi mostly for its unbeatable beachfront options. Keep in mind that it is an island, or actually a main island with a series of related islands, so you will need to either fly there or ride a ferry. It’s an island get away vacation that you will not soon forget. Depending on what you like for your accommodations, you can stay right on the beach in the photo here for anywhere from $35 USD for the – $145 USD per night – pretty great deals for a beautiful beach get-away! You can see all of Kuala Lumpur from the KL Tower right through the glass floors!